Hey y’all. Have you ever totally stressed about what to wear to an event? I’m sure I’m not the only neurotic one out there who can totally overthink both the outfit and my comfort requirements for said outfit. Well, Alt Summit last month brought out the neurosis full force. For the green themed party I ended up spending days hand sewing sequins for this dress. 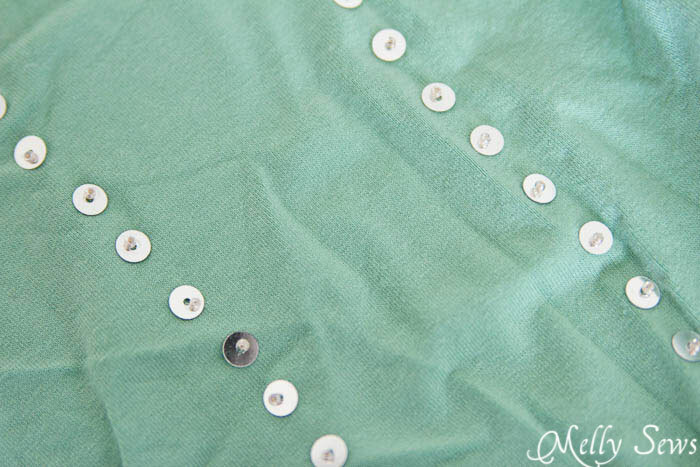 So today I’m going to show you how to sew sequins, and also talk about this dress in general. I wanted to be comfortable. As in I didn’t want to have to wear Spanx. So, this is the design I drafted and settled on. It’s a knit dress with a zip neck, raglan sleeves, and hundreds of hand sewn sequins and rhinestone trim. Because the fit is easy the Spanx weren’t necessary. And because of the rhinestones I didn’t have to do jewelry beyond my wedding ring and my earrings, which was perfect for me because I kind of stink at accessorizing. 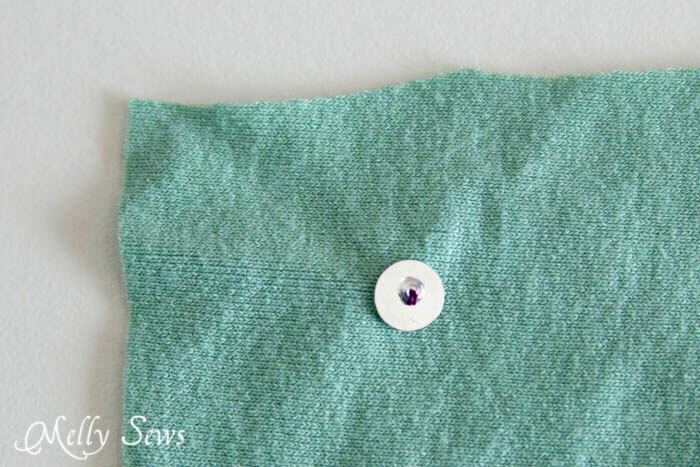 So here’s how to sew the sequins. 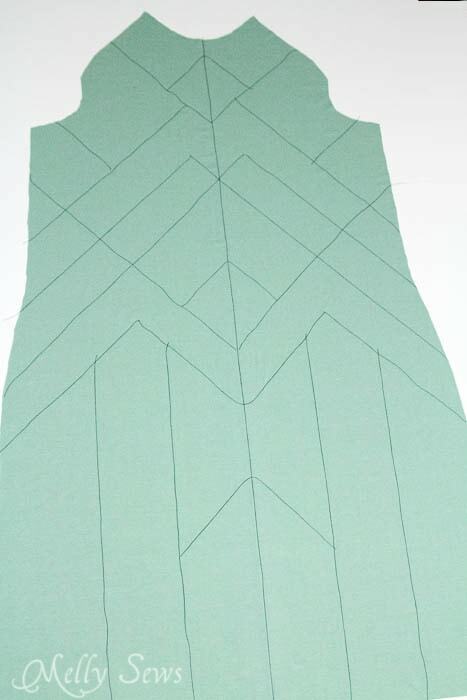 First I planned out my design on the dress by laying out pieces of thread on the dress fabric. Then I went along these lines with a ruler and a washable fabric marker to mark the exact location of each sequin. I’m using colored thread for the demonstration, because invisible thread would defeat the purpose of a tutorial, obviously. 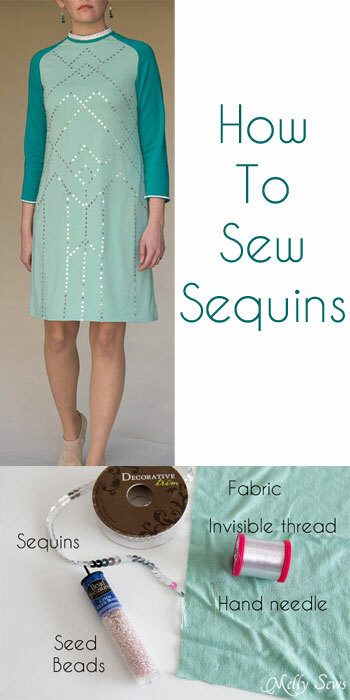 Start by knotting your thread and coming up through where you want your sequin. 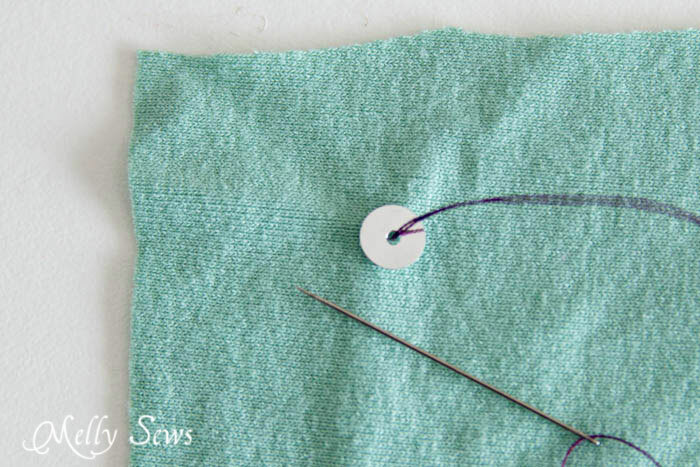 Then thread one seed bead on and take the needle back through the hole in the sequin. Pull tight. 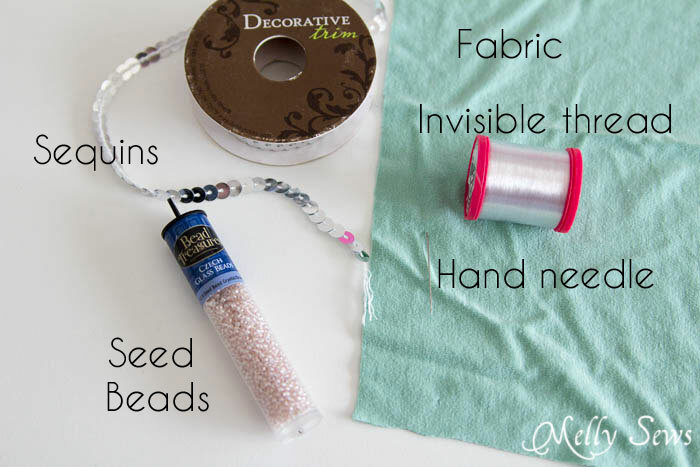 The seed bead keeps the sequin from coming off the thread. On the back YOU MUST knot your thread. You don’t have to cut it before the next sequin, but you must knot it. So this is what my sequins look like close up when sewn with the invisible thread. Notice the wrinkles? This dress was just washed. In the machine. Yup, that’s right. 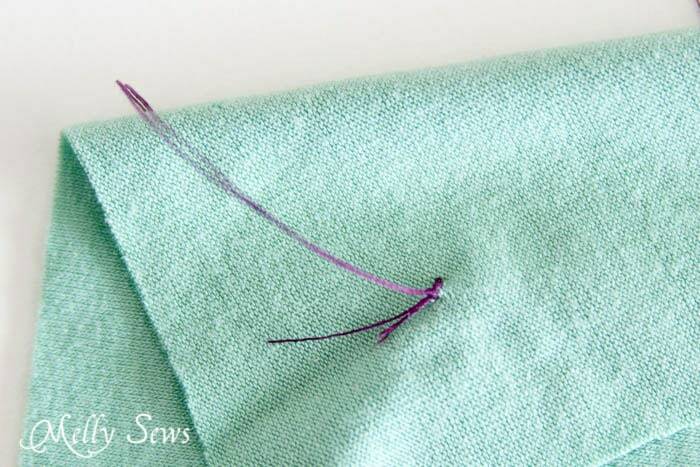 If you take time and sew these properly, this can be washed in the machine. In a delicates bag, but hey, at least I’m not handwashing. Lay flat to dry. I will press this from the back side before I wear it again, but I want to show you the back – see the invisible thread connecting the dots? 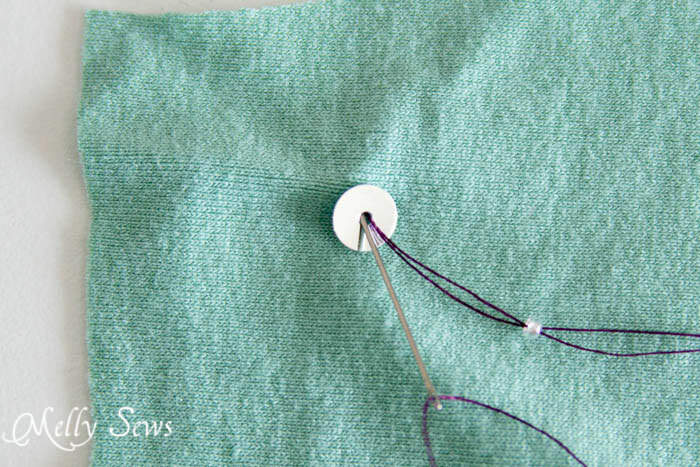 Because the thread shows on the inside, you’re going to want to line your dress. Or do as I did and wear a full length slip. 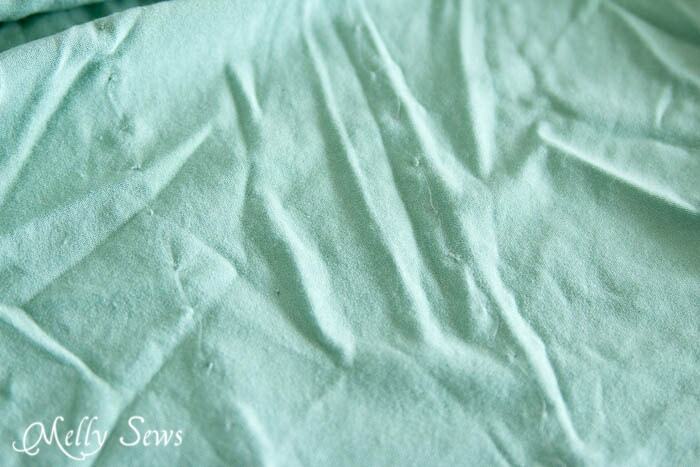 Because invisible thread against your skin can be kind of itchy. Here’s a back view of the dress. Loose fitting in the back, too. So that’s it – like the Lace Dress, this was a labor of love, but I’ve worn it to a banquet and a wedding since Alt, so I’m calling this worth it. Good heavens lady – that is impressive!! Cannot imagine hand sewing sequins…..I did it for a Halloween costume for Anika when she was three (Angelina ballerina I do believe) and it just about did me in….I am super impressed! It’s beautiful. I’ve never seen a raglan sleeve, knit sheath dress look so elegant! 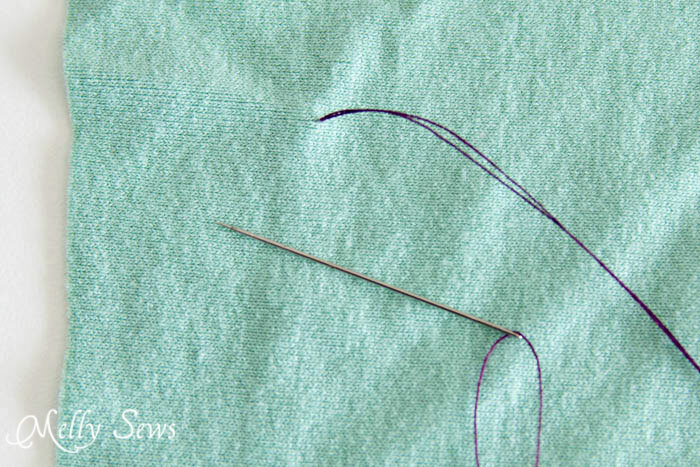 This is totally why I sew. Creating beautiful one of a kind things that fit my needs. Your dress looks great, so effective! I made a skirt and (semi) covered it in sequins. It took so much longer than I thought it would. Definitely worth the effort though! Melissa- this is GORGEOUS!!!! Way to go lady! What brand of marking pencil did you use on your dress to mark the sequin application lines? Was it easy to remove the marking lines? I’m not seeing the picture of where you sewed the beads on the lines.